Hello! 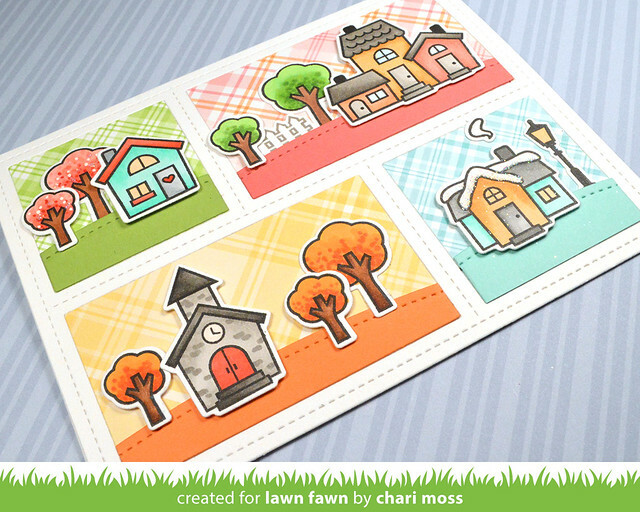 Welcome back to another day of Lawn Fawn Inspiration Week. Today we are sharing projects with the new Peekaboo Backdrop. This die is awesome! It helps you make a cool comic book style design very easily. It also has some fun peekaboo and lift the flap style pieces you can incorporate as well. 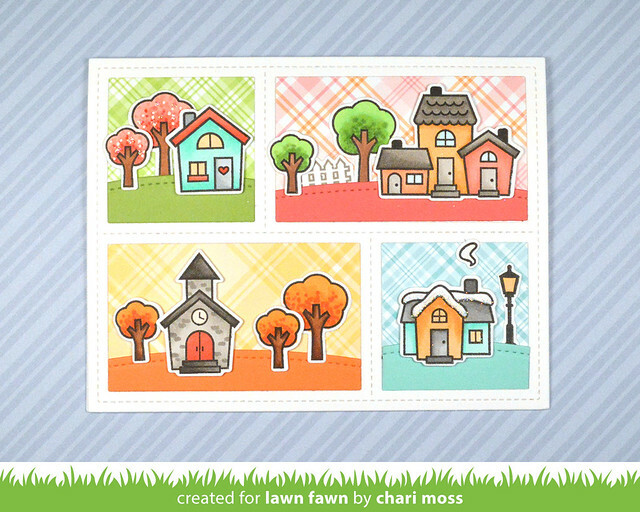 I wanted to create a card with all four seasons using the new Happy Village set as well as a snowy house from Winter Village. I used different colored plaids for the skies and cut coordinating colored hills for the ground. I added little elements to the images like the bricks on the church and the dots to the trees for a little more detail. I also used some glitter on the snow as well. Be sure and check out the Lawn Fawn blog for more Peekaboo Backdrop projects. Thanks for stopping by! Love the seasons take on this! Love your four seasons! Such a great way to use the set! What an adorable village your have created!